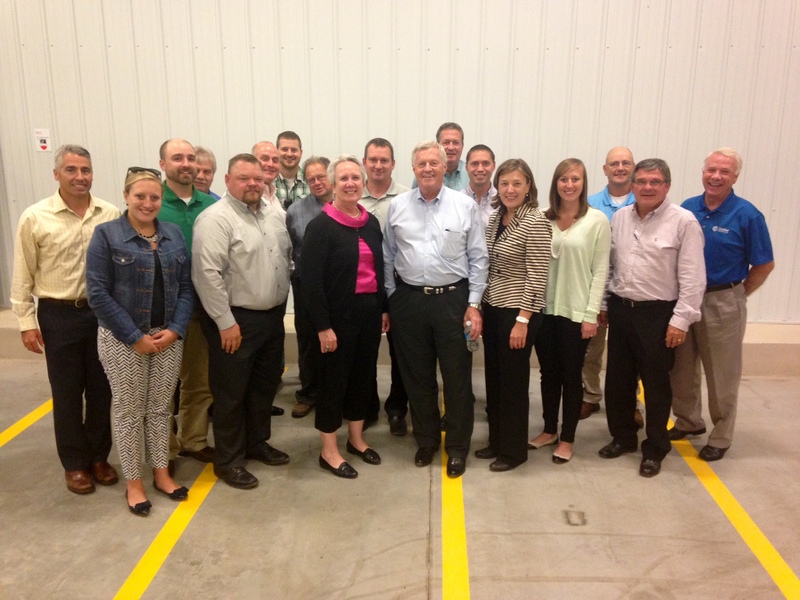 Democratic Rep. Collin Peterson, ranking member of the House Agriculture Committee, visited Sparboe Farms’ recently renovated “Prairie” farm in Litchfield, Minn. to tour one of the company’s new “enrichable” barns and state-of-the art processing facility. 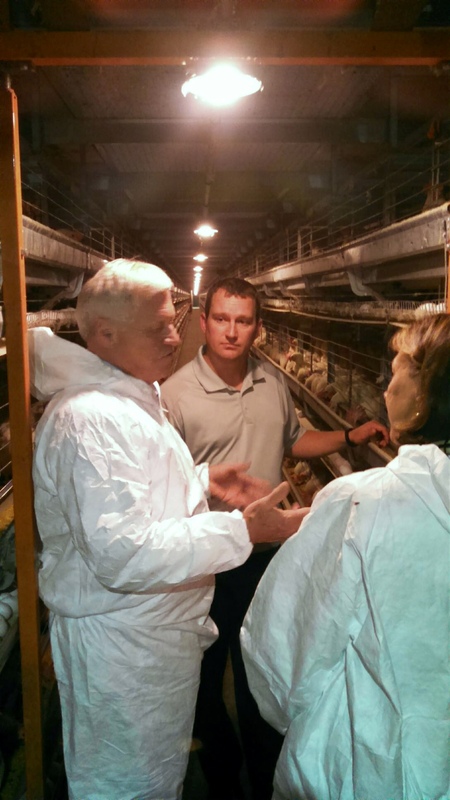 The tour, hosted by Sparboe Farms’ President Beth Sparboe Schnell and Director of Production Operations Mark Kellen, gave Congressman Peterson an inside look into the kind of facility that will take safe, efficient egg production and quality hen care into the future. Sparboe Farms’ Prairie complex was not only the company’s first farm built, but also Minnesota’s first and largest in-line egg production facility, originally constructed in 1974. This recent multi-faceted renovation project involved the construction of three new “enrichable” barns that combine industry best practices in ventilation, lighting, automation and animal care; a water treatment facility that recycles water used to wash eggs for crop irrigation; and a new processing plant that stands to be one of the top 10 most automated in the country; among other facility additions. The result is a modern egg farm with an optimal laying environment for hens; a cleaner, safer work facility for employees; and the opportunity for improved efficiency. Congressman Peterson’s tour was followed by an interactive discussion with Sparboe executives and managers, and representatives from other local businesses, many of whom reside in the Litchfield area. He gave an overview on the latest farm bill, and also fielded questions on the impact of Minnesota’s new minimum wage requirements and healthcare costs, California’s egg law, and the EPA’s proposed rules for waters of the United States. As a longtime advocate of rural America, he also confirmed his commitment to helping ensure the voices of rural communities—and the importance of farming—are not lost as more people move into the city.